Resident Staff | Housing and Residence Life, U.Va. Housing & Residence Life, in conjunction with the Office of the Dean of Students and the Office of Business Operations, works collaboratively to create inclusive, welcoming communities where residents are empowered to engage their potential as scholars and leaders through self-governance and participation in their residential community. Every student living on Grounds has a Resident Advisor (RA) who lives within the residential community. RAs are supervised by a Senior Resident (SR) who oversees an entire building or residence area. 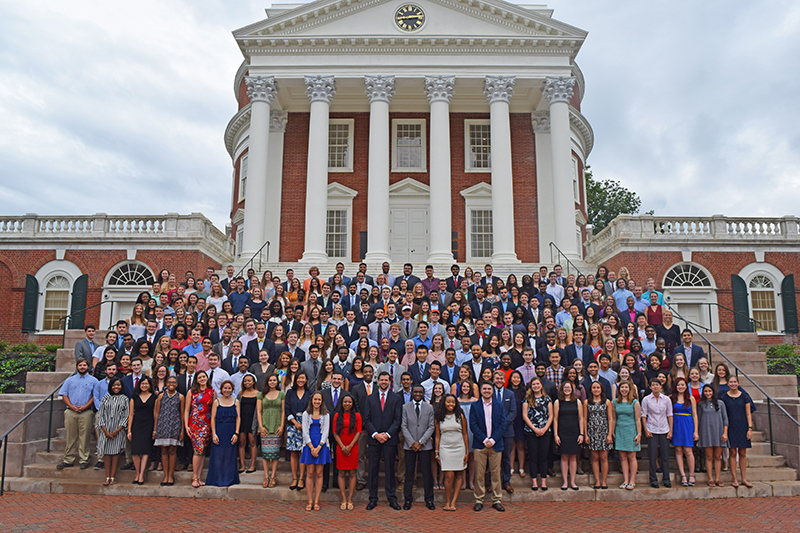 These student leaders are identified through a peer-driven selection process and committed to building strong communities that value the University's traditions of honor and student self-governance. From structured programs to informal peer advising, RAs and SRs support the physical well-being of students and their academic, social, and emotional development. These 240 resident staff members are supervised and directed by undergraduate Co-Chairs who work with students and the Housing & Residence Life area coordinators and deans to develop the vision for the residence life program. Health & Wellness. RAs emphasize topics like healthy eating, time management, stress relief, and much more. Multicultural Awareness. As a University we value the fact that "different approaches, perspectives, and backgrounds" is an important message for all students to internalize. Personal Enrichment. We help residents acquire new skills through opportunities ranging from cooking classes to personal finance workshops. Community Outreach. As part of an institution founded on the idea of creating civic leaders, it is important that we give back to the community through service and philanthropic activities. Academic and Intellectual Inquiry. RAs engage faculty and promote speakers and events on Grounds as another avenue furthering academic growth. Social Programming. Part of living in a community is getting to know those people that live around you. RAs plan social activities to help facilitate those interactions. RAs serve as mentors and role models, and are expected to act with the utmost responsibility and professionalism in accordance with their capability to impact all students living on Grounds. Therefore, RAs articulate and uphold University policies, including those in the Undergraduate Record and Housing Terms and Conditions. The Resident Staff program also supports student self-governance through interaction with the Honor Committee and the University Judiciary Committee. For more information about the Resident Staff program, see the Resident Staff Facebook page.